What is the Biocyclic Vegan Standard? 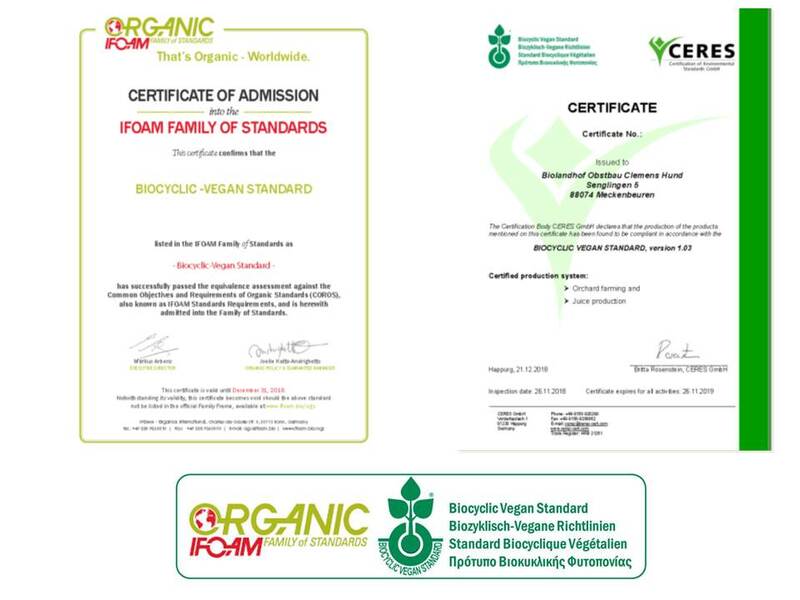 The Biocyclic-Vegan Standard is an IFOAM approved organic stock-free production standard for operations without animal husbandry which produce without any use of inputs originating from animals or parts of them. The standard takes into account the interplay between organically cultivated crops and their surrounding which in Greece and Cyprus partly is still an intact ecosystem. Large sections of the standard are more stringent than the requirements established by the European Union’s Organic Regulation 834/2007. The Biocyclic Vegan Standard aims to close natural circles of life (Greek: bios + kyklos) by building humus and creating species-rich habitats, and thus to foster the self-healing powers of nature. The Biocyclic-Vegan Standard promotes in the case of Greece and Cyprus small-scale family-run holdings, ensure there is no drift from neighbouring fields, and guarantee full traceability for each individual plot of land.